2015 promises to be a very exciting year for GLOBE and it starts off with a blast this Thursday, 29 January, at 14:20 UTC (9:20 AM EST) with the launch of the Soil Moisture Active Passive (SMAP) satellite from Vandenberg Air Force Base in California. Orbiting with the world’s most advanced radar, radiometer and mapping capabilities, SMAP will be measuring the moisture in the top 5 cm (2 inches) of soil over the entire planet every three days, and will generate soil moisture maps of the entire Earth with unprecedented accuracy and resolution. On Earth, having determined when the satellite is overhead by entering their GPS coordinates and finding the flyover time, GLOBE students will be taking their own soil moisture measurements simultaneously on the ground. Student and satellite data can then be compared. How exciting it that? GLOBE encourages every school to become a SMAP partner and contribute to data collection and analysis. The GLOBE Implementation Office will convene to watch the launch and we encourage teachers to do the same. Find NASA classroom resources here along with GLOBE’s SMAP resources on our website. Follow The GLOBE Program onFacebook for more information, as the countdown begins. 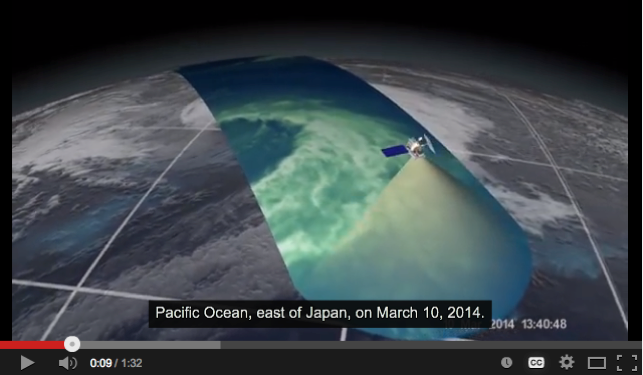 Take a few minutes to view two short NASA videos to understand the value of the GLOBE/satellite partnerships. The Global Precipitation Measurement (GPM) – GLOBE Field Campaign begins on 1 February. GPM is an international satellite mission launched by NASA and the Japanese Space Agency (JAXA) in early 2014 that is setting new standards for precipitation measurements worldwide using a network of satellites united by the GPM Core Observatory. During the campaign, students will measure daily rainfall using a rain gauge, daily snowfall using a snowboard, total snow accumulation on the ground and the equivalent depth of rain for both new snow and snow pack. They’ll also use techniques from the Hydrology Investigation to measure pH of rain and melted snow. Find out how you can get involved in this campaign. The NASA GPM Education and Communications Team is hosting a series of 15-20 minute webinars for students to learn all about the campaign and the GPM mission. The webinars are ideal for use in classrooms and will include special appearances by GPM scientists. For information about GPM webinars for teachers and students, click here. I hope you are excited to be part of GLOBE’s partnership with NASA’s Earth Science satellite missions. When most people think of NASA, they think of spacecraft and astronauts probing deep space, reaching father and farther to the limits of the universe. What most people don’t realize is that NASA is equally interested in observing our home planet — our oceans, soil, climate, weather patterns and much more — from an entire fleet of satellites looking down on Earth at this very moment. 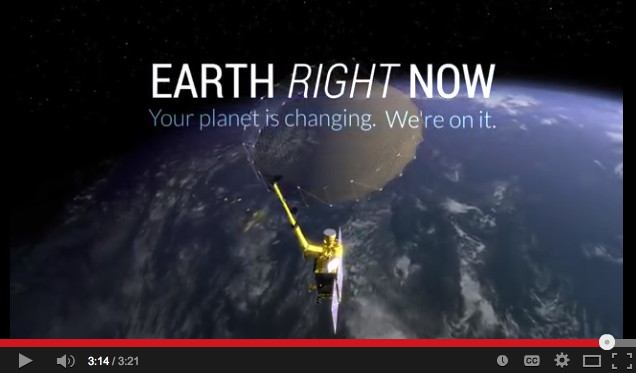 I think it’s wonderful to be a part of these NASA satellite missions and I hope you do too. 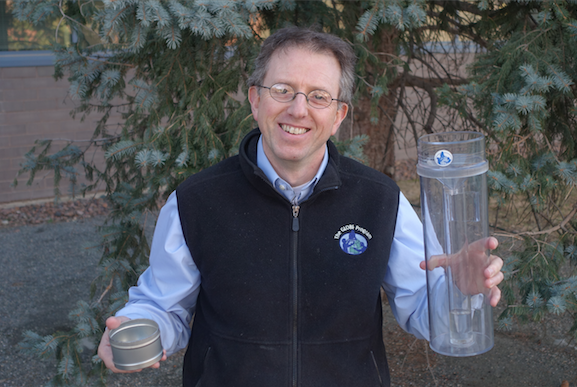 Here I am getting ready with my soil can and my rain gauge. 2015 marks the 20th Anniversary of The GLOBE Program…an amazing 20 years! The anniversary will be celebrated throughout the year, beginning on Earth Day, 22 April. The GIO is alive with plans to celebrate this important milestone as we look back at 20 years of GLOBE and the community that has come together through dedicated effort. Our community is unique: active, dedicated, energetic, and united in a common purpose. Many of you may be planning events as well to celebrate 20 years, whether on Earth Day or later throughout the anniversary year. Please send us an email about what you are planning on this special occasion. In addition, I am looking forward to seeing as many of you as possible at the 19th GLOBE Annual Meeting, 20-24 July 2015, in Los Angeles, California. Let’s all work to make this 20th year one to remember! The deadline to send in your Annual Partner Survey is 30 January…. just a few days away. If you have completed and submitted the survey already, thanks for having taken the time to do so. If not, please complete and submit it by Friday, 30 January. The survey is critical to the success of GLOBE and helps inform our sponsors about the state of the Program and the community; how we are meeting our strategic goals; and how to move the Program forward. I sincerely hope all U.S. Partners and International Country Coordinators will complete the survey on time. Please check your inbox for an email that contains the link to the survey. We will be informing you about our Earth Day activities in the weeks ahead. Send a note to communications@globe.gov to let us know what you are planning for Earth Day. We are pleased to announce the first recipients of the GLOBE Distinguished Educator Fellowship. We received a number of applications from around the world, which were reviewed by community members as well as GIO staff. We are pleased to award two fellowships in 2015. Dr. Umarporn Charusombat of Thailand (Asia and Pacific region) has been funded to create activities to investigate climate change impacts and adaptations. Mr. John Moore of the United States (North America Region) has been funded to create activities linking the GOES-R satellite with GLOBE protocols and activities. Congratulations to Dr. Charusombat and Mr. Moore! I encourage you to read GLOBE Partner Kevin Czajkowski’s blog, with results from his Surface Temperature Field Campaign. It’s a good example of the kind of feedback we like to receive from scientists who use GLOBE student data. Also, I’d like to remind you to inform us when you use GLOBE data in your scientific publications, and let us know when you read an article that references The GLOBE Program, so that so that we can add these items to our list ofscientific publications. A series of GISN Thursday webinars designed to give you insight into the work of the GLOBE International Scientists Network begins on Thursday, 5 February. In closing, GIO is excited about the activities over the next few months and especially about the 20th Anniversary beginning on Earth Day 2015. This is an important milestone for the Program and the community, a cause for celebration, and a time to reflect on where we have come from and where we are going! I look forward to celebrating with you during the 20th Anniversary and listening to your ideas on moving the Program and community forward.